100 Years Ago . 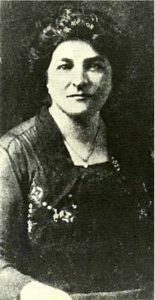 . .
On August 13, 1918, Opha May Johnson enlisted in the U.S. Marine Corps Reserves, becoming the first female U.S. Marine. More than 300 women joined the Marine Corps Women’s Reserves during WWI.